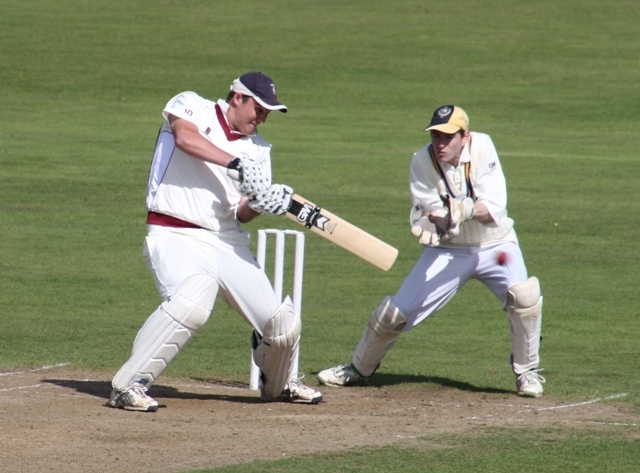 The cricket season is fast approaching for Dumfries Cricket Club with their first fixtures of the year taking place next weekend with two friendly games against Ferguslie on Saturday (17th) and Hillhead on the Sunday (18th). The match against Ferguslie takes on greater significance since the Paisley club find themselves in the same division of the National Leagues as APD Dumfries after two successive relegations dropped them from the Premier League. The sides play ‘for real’ two weeks later at Ferguslie in the opening league match of Division 2. After just missing out on promotion last season APD Dumfries will be looking to Aussie Josh Geary who is back for another season to produce last year’s batting form that helped make him the club’s Players’ Player of the Year. He was the club’s top run scorer in the league with 466 runs at an impressive average of nearly 47 and he was the side’s ‘finisher’ in a number of run chases. Once more for 2010, as they have done for all of the club’s four years in the Scottish National Leagues, Dumfries are sponsored by APD Ltd. The seconds, JMS Nunholm, are again sponsored by JMS Cricket Ltd and a new sponsor Site Electrical Ltd is backing the club and the youth orientated Sunday XI now in Division 2 of the Strathclyde League after they gained promotion in 2009. The club are very grateful for all their valuable support. The popular Monday evening junior cricket is starting up again at Nunholm on the 19th April, 18:15 to 20:00 for all abilities, boys and girls, aged 8 to 14. For those older, training is already underway on Tuesdays from 4:15pm. Senior training takes place on Tuesdays and Fridays from 6pm. New players and juniors are very welcome. They can contact Trefor Williams on 01387 256455 or see www.dumfriescricketclub.co.uk for more information.